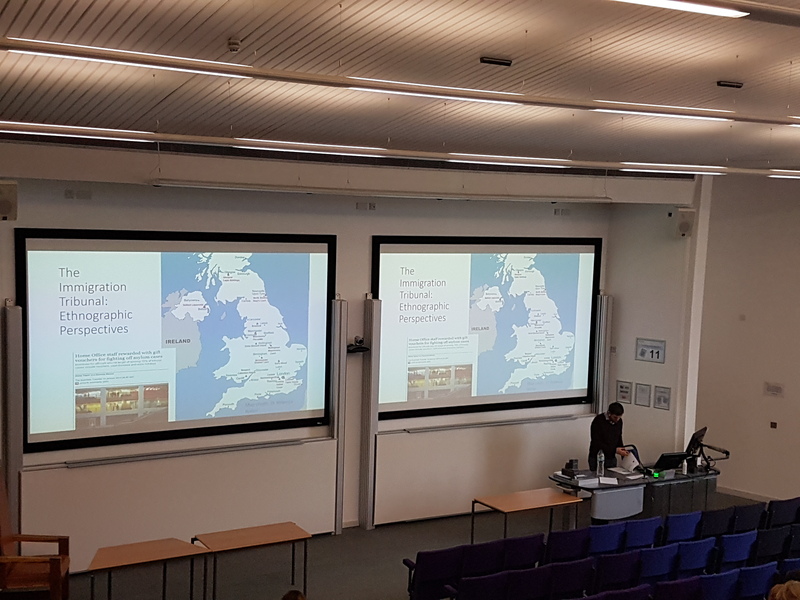 On 22nd November 2017, Dr. Nick Gill gave a lecture on Ethnography in Tribunals to Geography undergraduate students at the University of Exeter. The lecture titled “The Immigration Tribunal: Ethnographic Perspectives” introduced students to ethnography as a research method to “snap out of theory, and provide insight into reality”, and should encourage Geography students to use multi-method approaches and qualitative data in their own research. It also offered students an insight into Prof. Gill’s important work on asylum tribunals.